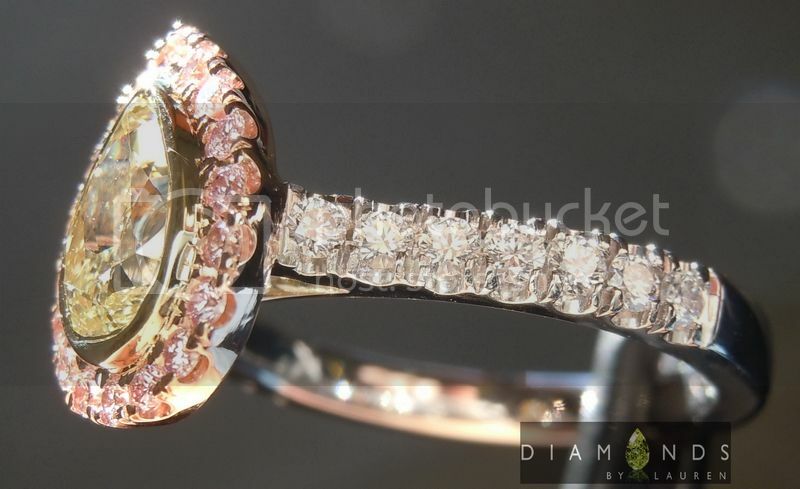 Do like a bit of "junk in the trunk"? 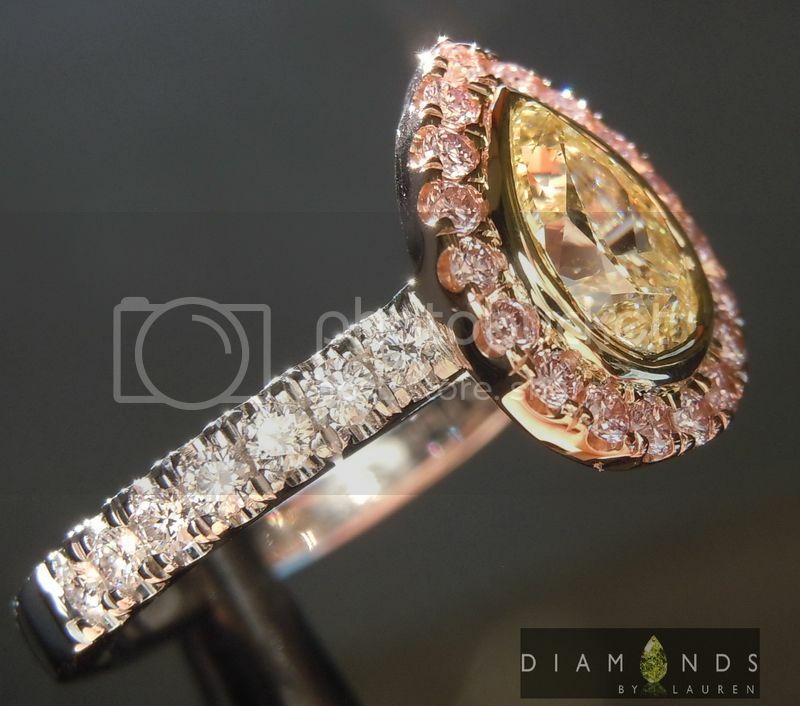 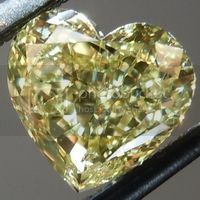 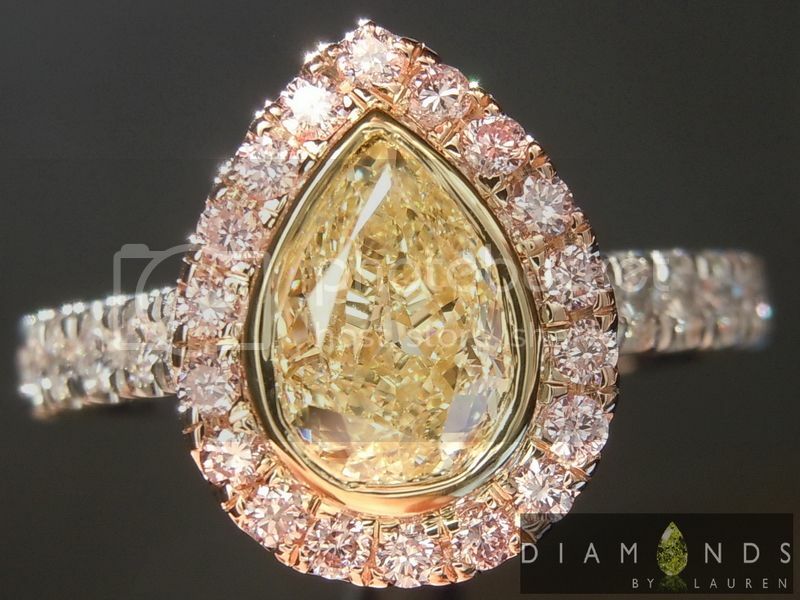 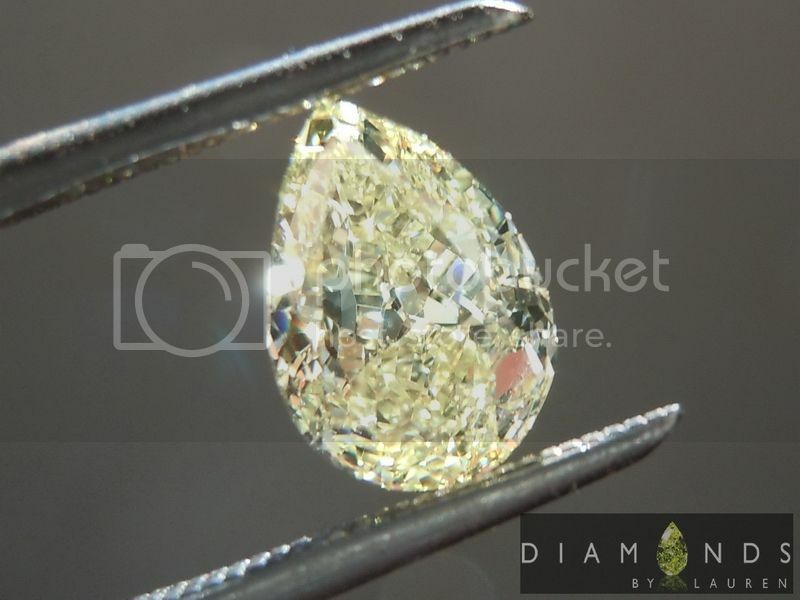 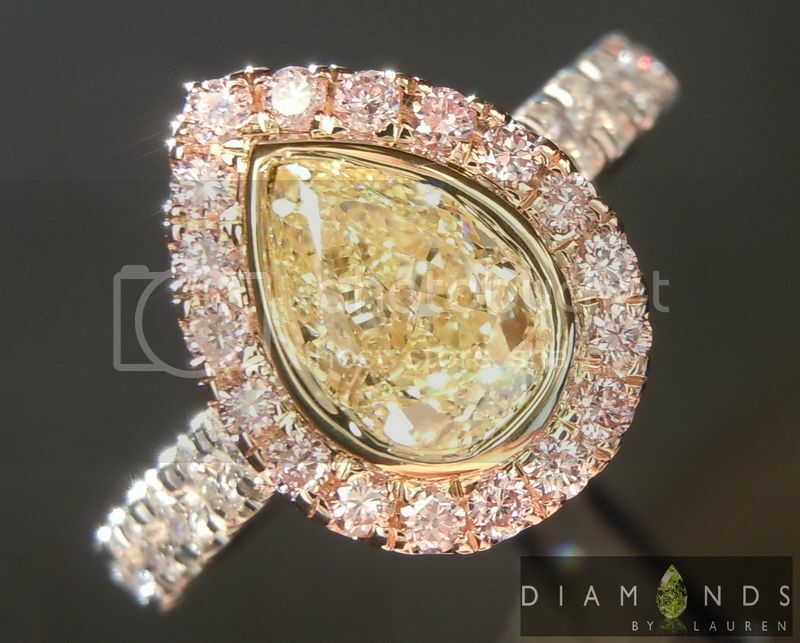 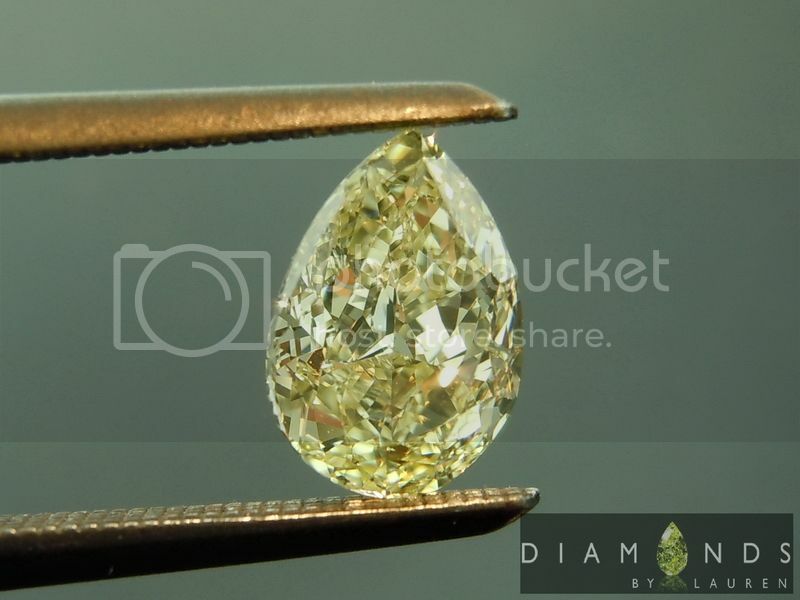 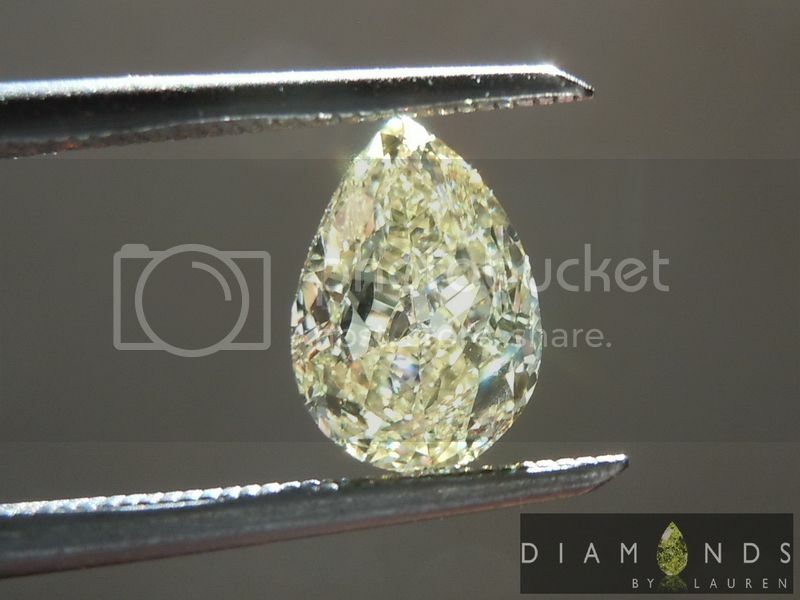 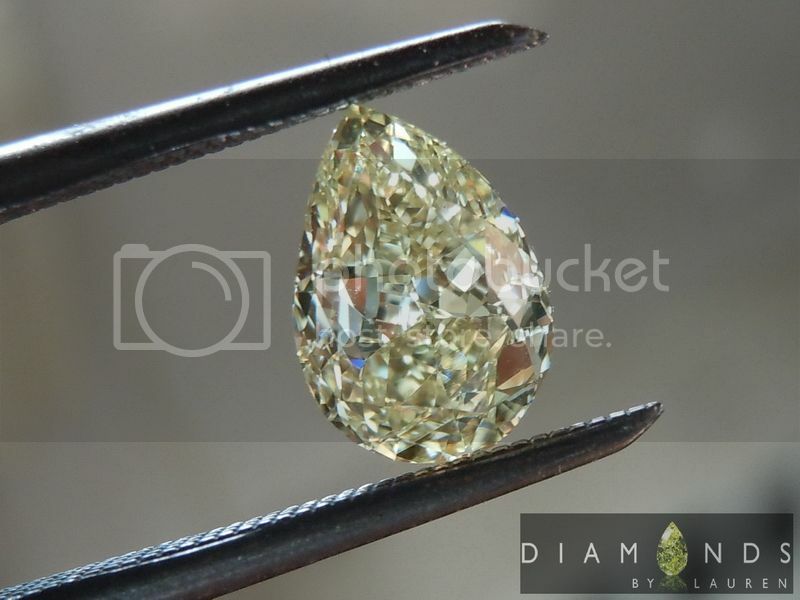 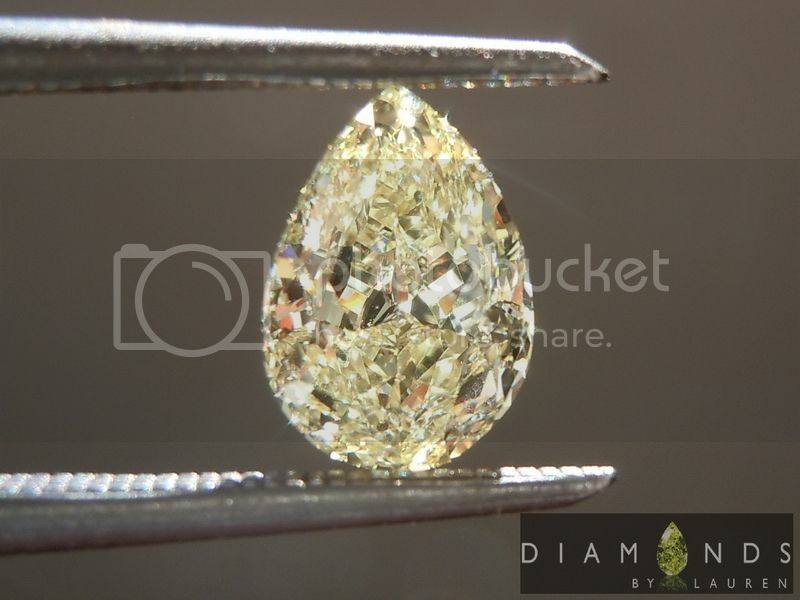 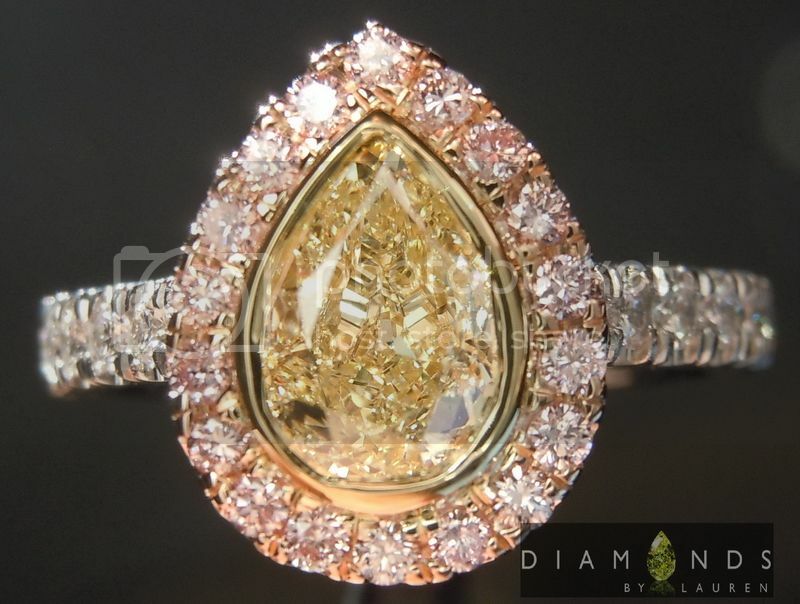 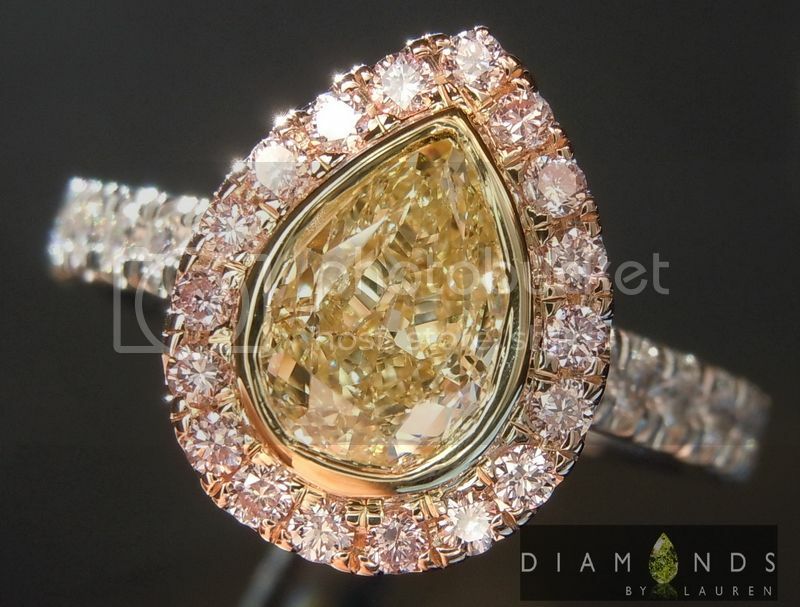 If so, here's you chance to own this gorgeous chubby pear diamond at an amazing price. 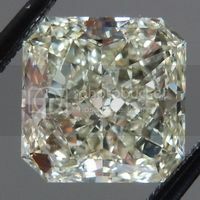 I could not resist the sparkly little porker. 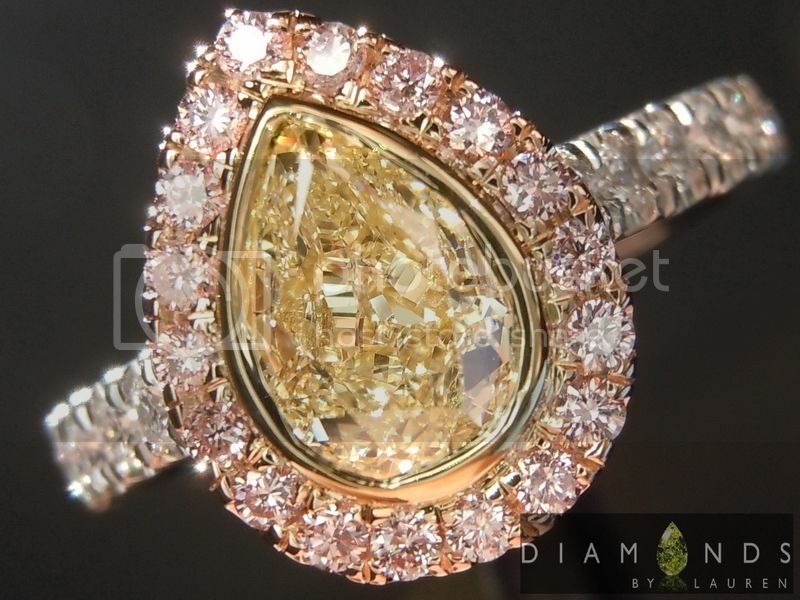 The color is strong for Fancy Light. 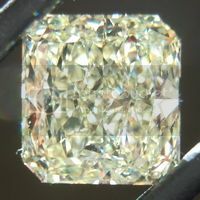 The GIA graded the clarity as SI1. 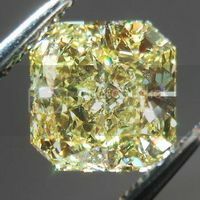 The principle imperfection characteristic is feather, which is shown on the plot. 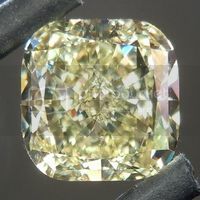 What cannot be shown on the plot is how the feather is situated within the diamond. 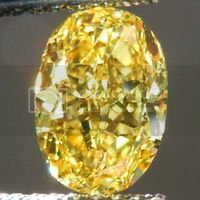 It is deep inside and oriented in a plain that renders it invisible except if you look from underneath the stone at a severe angle. 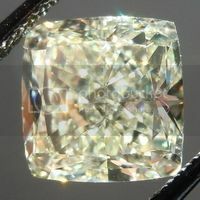 When I say invisible, I'm not talking about with the naked eye - I mean with a ten power loupe.